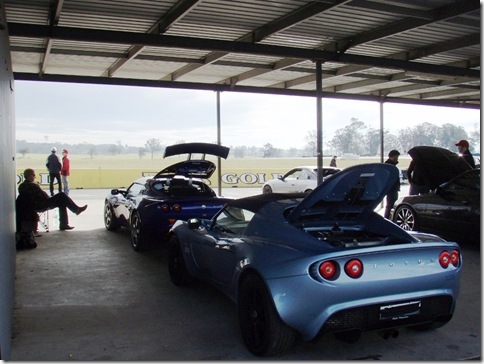 Top Gear Australia Series 2 – Sanna got on screen, again! 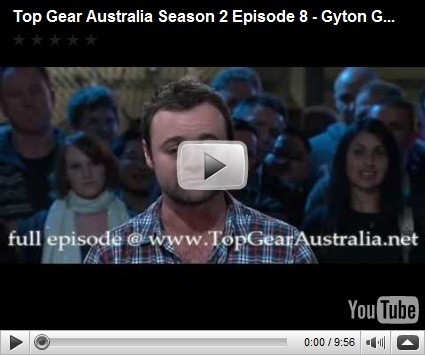 A month ago we went along to the filming of the 2nd series of Top Gear Australia as the 1st series was a laugh to go to. 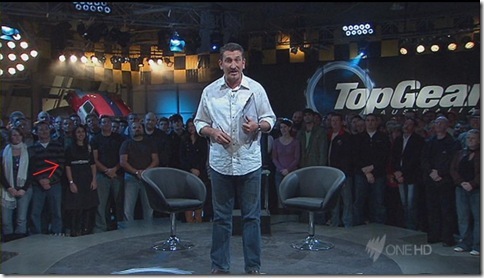 It turned out to be the final episode of the series so there were some reasonably good stuff featured in the episode. This time the group was Sanna and I and friend Cameron from work. 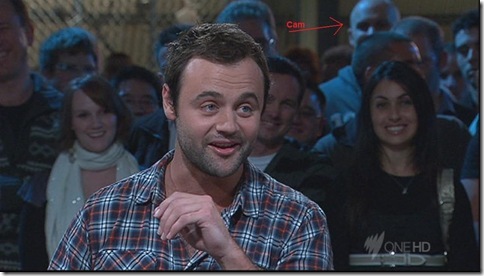 Cameron is blessed with height so he was on screen for most of the audience shots with his head poking out of the crowd for most of the episode. During the star in a reasonably priced car interview piece, the director asked Sanna to come to the front as they were setting up shot and someone said â€˜itâ€™s always the pretty onesâ€™ 🙂 I was sent to the back being too short and too ugly for national TV and went to the back of the studio to watch the live camera feeds on the directors monitor. 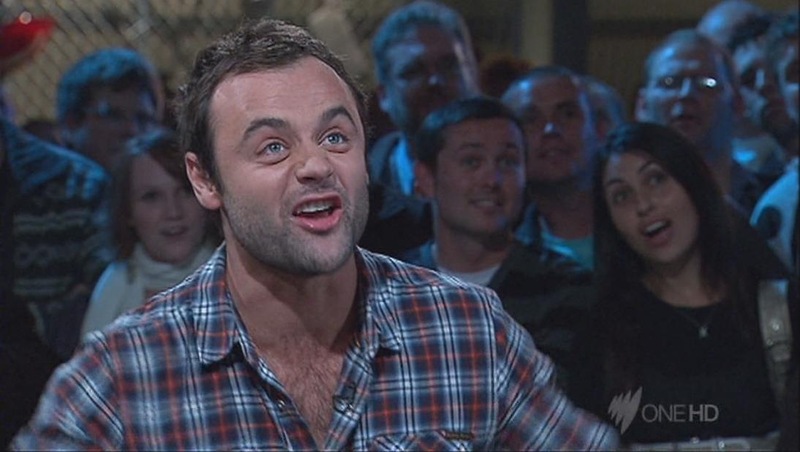 Gyton Grantley from the Aussie hit drama series underbelly was the star in the reasonability priced car and he came out at the very top of the celebrity lap times board. Queue Sannaâ€™s spontaneous look of amazement just as Warren the presenter announced the lap time 🙂 I was at the back of the studio have having a good giggle watching her on the monitor. And here is the YouTube clip! Have covered 600+ km’s and 1 track day at Oran Park Raceway so far after the supercharger install and I’m still very impressed with the VF Stage 1 kit. 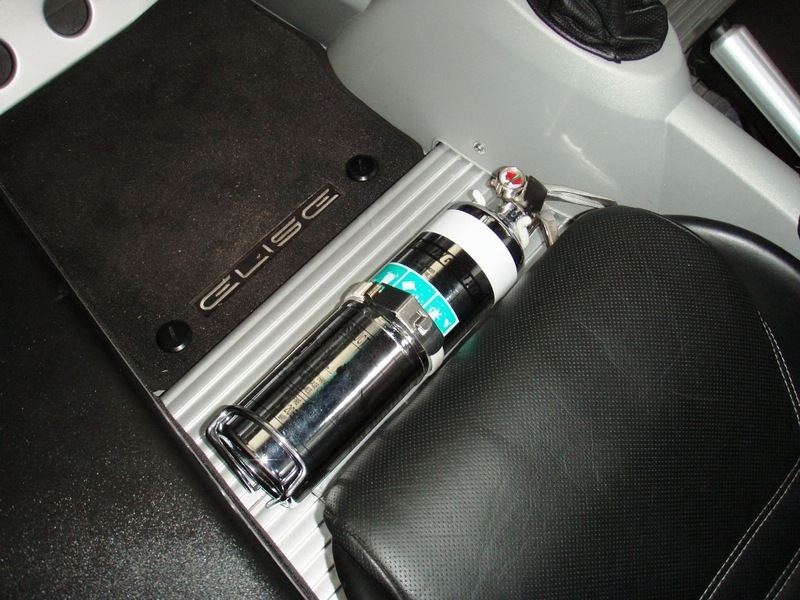 Friend Brenden from the Lotus club has also fitted a fire doodah for an extra insurance policy using one of his great brackets (highly recommended if you don’t want to drill into your metal floor). Looks just like it could have been a factory fitted option, just what I was looking for, thanks heaps Brenden.